U.S. Secretary of State in Bill Clinton's administration who heavily influenced American policy in Bosnia and Herzegovina and the Middle East. She received the Presidential Medal of Freedom from US President Barack Obama in 2012. She was taught by a governess because her father feared she would be inculcated into Marxist ideology. 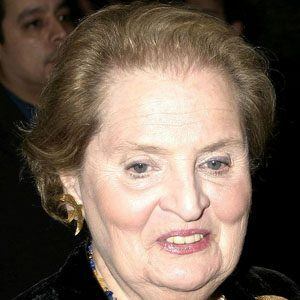 When she was appointed as United States Secretary of State in 1997 she became the first woman to hold the position. 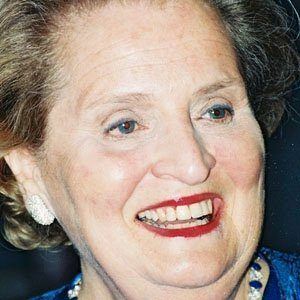 She was married to Joseph Medill Patterson Albright from 1959 until 1982 and they raised three daughters named Anne Korbel, Alice Patterson, and Katherine Medill Albright. Her father was a Czech Jewish diplomat named Josef Korbel. She was a female Secretaries of State, much like Hillary Clinton, who held that position in the Obama administration.